Licensed in 1990, I have successfully assisted buyers and sellers in nearly 1000 transactions! After 25 years, I look forward to each and every day in the real estate business, as it's never the same thing twice! After starting with a small "boutique style" real estate office, I branched out with my partner Bill Friel and started ABG Realtors. Advanced Business Group accommodated all aspects of real estate, including commercial sales and rental investment opportunities. My personal expertise is residential, and I have assisted buyers and sellers with new construction, re-sale, condos, farms, and vacant land. Born and raised in Louisville, I have lived all over town and also Oldham and Trimble Counties. My hobbies include walking in the woods with my dog Phoebe, gardening and traveling. 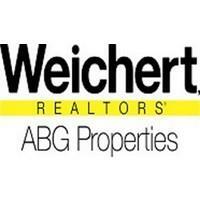 In 2007 we were approached by Weichert and eventually opened our first franchise office in 2008. We have since opened 3 additional offices for the convenience of our clients and our agents all over the Louisville Metro area and surrounding counties. I have served as President of the MLS twice at the Greater Louisville Association of Realtors, created the Rookies Club at the Board, served on various committees and currently am President-Elect of the GLAR Board. I absolutely adore my job, and look forward to assisting people to achieve their real estate goals!